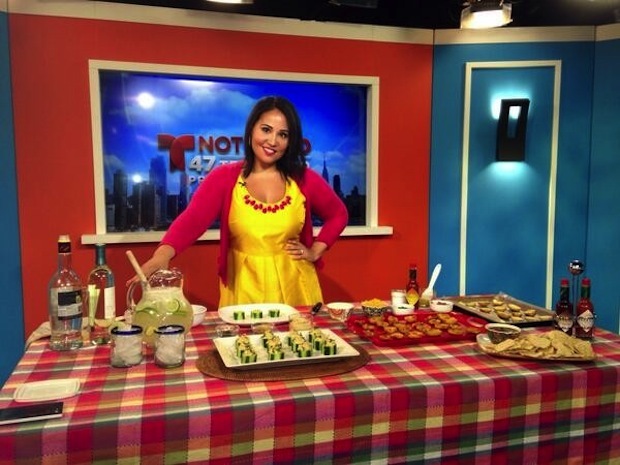 I was up insanely early yesterday morning--I'm talking 3AM here, people!--in order to host a live cooking segment on the Telemundo morning show, Primera Edicion, here in NYC. The segment was all about summer entertaining, and I shared a couple easy recipes and one cocktail--a refreshing Caipirinha Punch. I still need to photograph the other two recipes, but figured that I would quickly share the punch since it's pretty perfect for any World Cup (or other summer) parties you may have coming up! Now about that punch...this is a bit of a twist on the classic caipirinha, which is known as the national cocktail of Brazil. 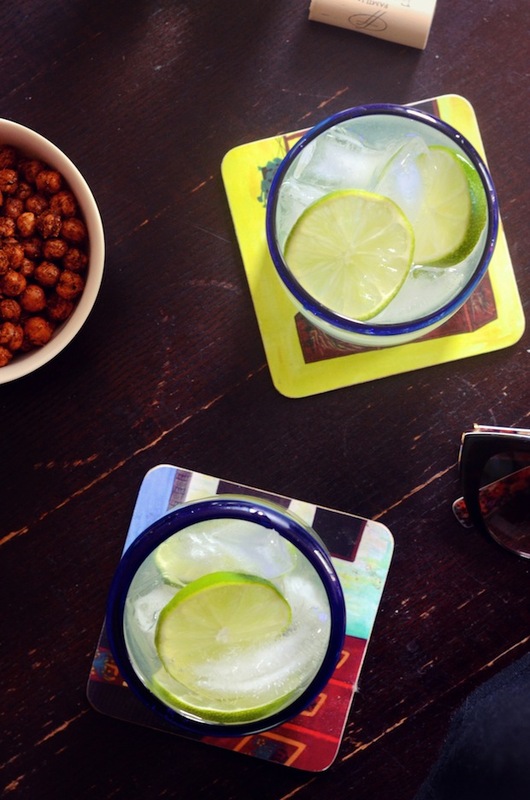 Made with cachaça, which is a type of rum, caipirinhas are tart and pack a powerful punch. I love them, but there are times when I want something a little bit lighter. All the flavors of a caipirinha, toned down with some semi-sweet wine. 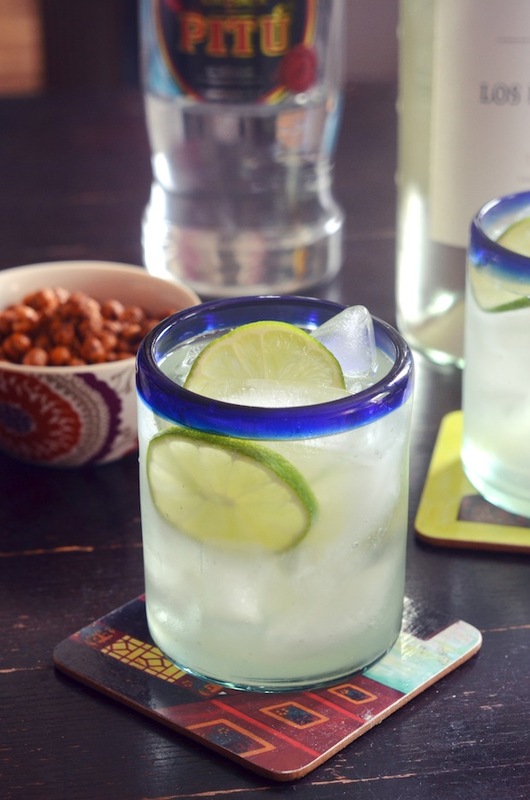 You stir all the ingredients together in a big pitcher and then chill until party time, at which point you add ice and sliced limes, then serve over more ice. It's cold. It's refreshing. And it'll keep your guests happy without knocking them out--definitely the mark of a good party. Combine cachaça, wine, lime juice, triple sec, and sugar in a pitcher and stir well to combine. Chill in refrigerator until ready to serve. Just before serving, add ice and sliced lime to the pitchers. Serve in glasses filled with ice.